Justification by Faith Alone is Martin Luther’s commentary on the essential truth of how we are declared right with God from Galatians 2:16. This truth was the catalyst for the Reformation, which restored biblical Christianity to Western civilization. By nature we are prone to run to the error of law-keeping in order to earn God’s favor—that is, to seek salvation by doing good works. Luther explains how false teachers deceive many with this error, and clearly proclaims the beauty of how Jesus Christ achieved a perfect righteousness for His people at the cross. 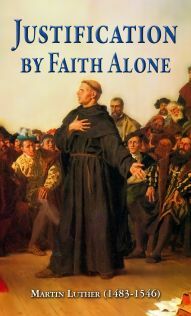 Luther champions the true role of God’s free grace in justification by faith alone.